Society is faced with a multitude of problems that left unresolved can serve to create even bigger problems and cause substantial damage to communities and people who live there. These problems are numerous and can range from substance abuse, mental health problems, domestic violence, gambling and homelessness. The criminal courts in Michigan are overworked and it has become increasingly obvious that a new way of thinking was needed. The old ways were not cost or time effective and were not sufficiently dealing with an offender’s real issues to minimize the chance of repeat offenses. 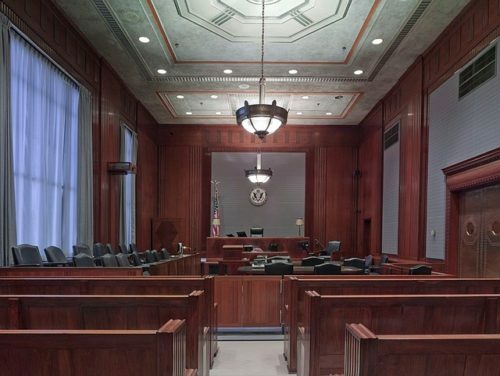 The most common of the Problem Solving Courts is the Drug Court (also known as a Sobriety Court) and statistics show that after two years 7.19% of those who participated in a Drug Court Program were repeat offenders, as opposed to 14.67% who did not. After 4 years, 15.61% of those who participated in a Drug Court Program were repeat offenders, as opposed to 22.45% who did not. These statistics are from the Michigan State Court Administrator’s Office. Problem solving courts are the trend of the future and Michigan is at the cutting edge of the movement. Although courts may not be inclined to offer these programs as an alternative to jail, great defense lawyers know how to credibly advocate for therapeutic alternatives to incarceration. Problem-solving courts are innovative programs designed to address an offender’s underlying problem. According to the Center for Court Innovation, there are six principles required for problem-solving courts to be effective. There must be better information available to the staff through training, and comprehensive defendant information for justice officials. Community engagement with the public will encourage cooperation of witnesses, jurors, & community watch groups, and foster trust. Collaboration between legal officials (judges/prosecutors/attorneys/probation officers), social service providers, victim groups and schools will keep everyone focused on the goal. Individualized Justice links offenders to the services they need and provides services for victims to aid in their recovery. Offenders must be held accountable with compliance monitoring and consequences for non-compliance. Outcomes need to be analyzed for cost versus benefit, and to provide continuous improvement of the process. Problem-solving courts look just like traditional courts, but defendants are referred to as “clients” and the judge has extensive knowledge about the client and talks with them directly. A client placed in a treatment program is monitored by the judge for months or years, and will return to court periodically to assess progress and/or problems. The judge can order the client to serve jail time as a punishment while in a treatment program, and the judge decides when the client is to be released from the program. Adult Treatment Court: has a specifically designed court calendar which is intended to deal with substance abuse issues. Participants have regular court appearances and their progress is monitored by treatment providers and the Court. In some counties the principal charge need not be a substance related charge to participate in the program – but the person must have substance abuse issues and be a non-violent offender. DWI Court (Sobriety Court): is a post-conviction docket dedicated the changing behavior of the alcohol or drug dependent offender. Most of these programs are for second offenders or those people with a high blood alcohol level when they were arrested. However, some courts have all drug and alcohol offenses go through its program. The eligibility can vary by Court. The goal of the Court is to protect public safety, while addressing the root cause of the substance abuse. These types of court use criminal justice professionals and substance abuse treatment professionals to systematically change the behavior of the program participant. With as much as problem solving courts are beneficial, there are problems. In Michigan, district courts are allowed to develop rules and procedures well suited for local problems. Michigan allows district courts some latitude to address local issues and budget priorities. But in developing these rules and procedures, the district courts may be creating due process and separation of powers problems. The Michigan legislature believes that problem solving courts are important, but have not yet enacted any laws protecting the constitutional rights of the participants in these programs. 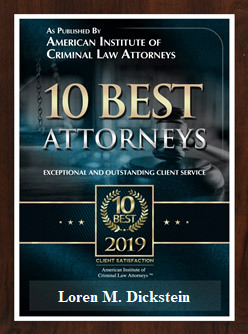 Only a lawyer who is intimately familiar with these programs and the constitutional principles that are used to protect defendants in felony and misdemeanor cases can be relied upon to protect their clients from potential abuse. It has been shown that problem solving court do work. In addition to helping defendant’s avoid lengthy jail and prison terms, these programs save money, time and quite often lives. If you are charged with DUI, OWI, domestic violence or another offense that might cause you to be eligible for a problem solving court or if you think you would like to see if you do qualify for a program, do not go down that road alone or with an inexperienced attorney. 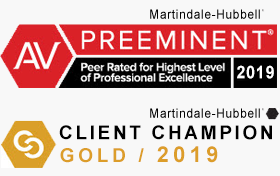 You will need an effective and aggressive Michigan Criminal Defense Lawyer that has experience and training in these new and innovative programs to guide you through the maze of options and eligibility requirements that may be available to you. Michigan’s premier criminal defense law firm, Lewis & Dickstein, P.L.L.C., are well respected by judges and members of the legal community. If you are facing criminal charges, please contact us at (248) 263-6800 or complete a Request for Assistance Form and one of our attorneys will contact you.